Fort Frederica National Monument is located in Southwestern Georgia. 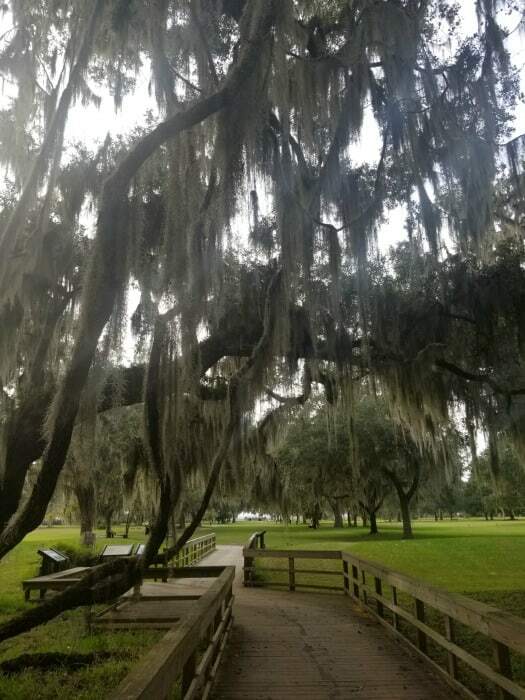 The park is 250 acres of Spanish moss and oak trees located on the St. Simon Island. This park is absolutely gorgeous and well worth visiting! 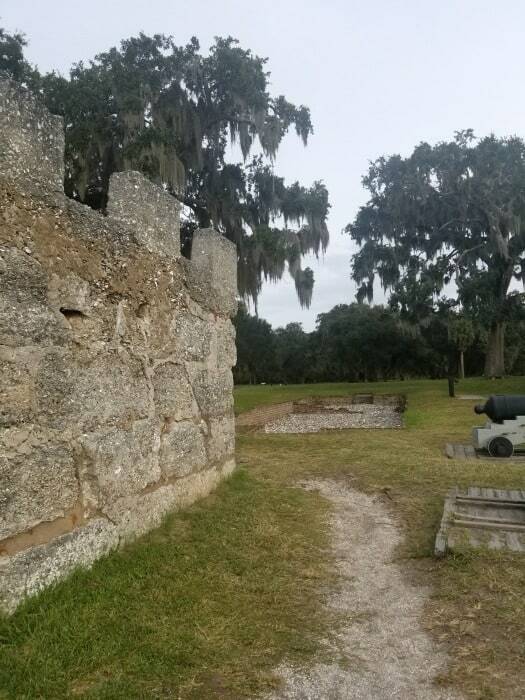 Fort Frederica combined military, residential and commercial function while the area was fortified with a palisade and an earthen rampart. The population of Fort Frederica ranged from 800 to 1000 residents during the peak period. The fort was also the home of John Wesley, a visiting minister who founded the Methodist Church. 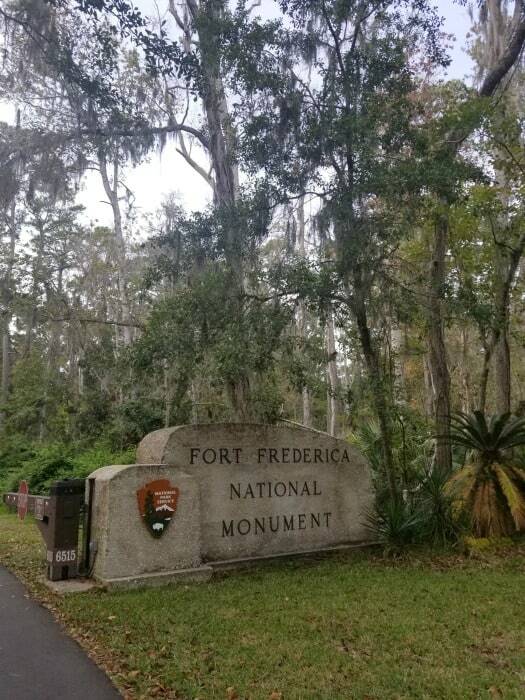 Fort Frederica National Monument preserves the remnants of the fort and historical town. You can see foundation markers and streets from the original town along with the fort near the water. One really cool aspect of the park is being able to see the buildings that were built using Tabby. If you are wondering what Tabby is don’t worry I wasn’t sure until I visited this great park. 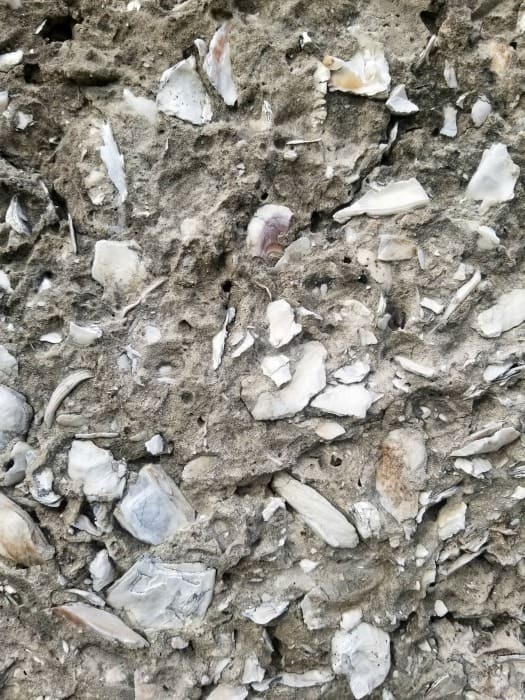 Tabby is a mixture of oyster shells, lime, sand and water that was used to create structures. The visitor center is filled with really cool exhibits. You can see some of the artifacts that have been found at the fort by archaeologists and also 8th graders during an archaeology camp held at the fort. The park has a ton of brochures and information on the history of the park, who lived at the park and so much more. 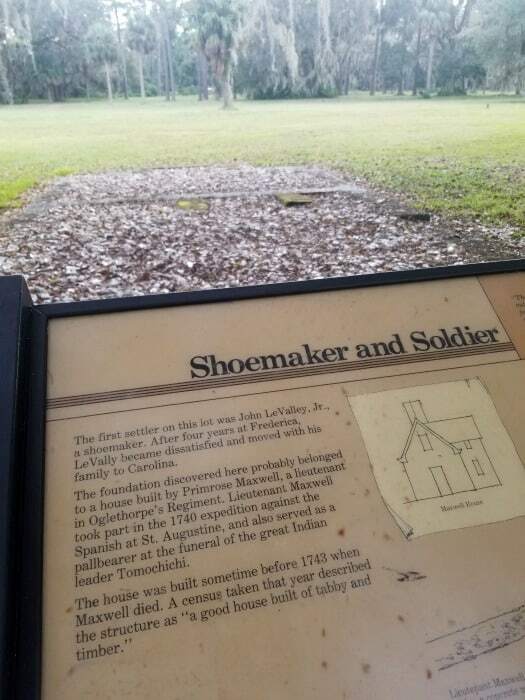 The 23-minute park film “History Uncovered” does a wonderful job of explaining the history of Fort Frederica and why it was important. 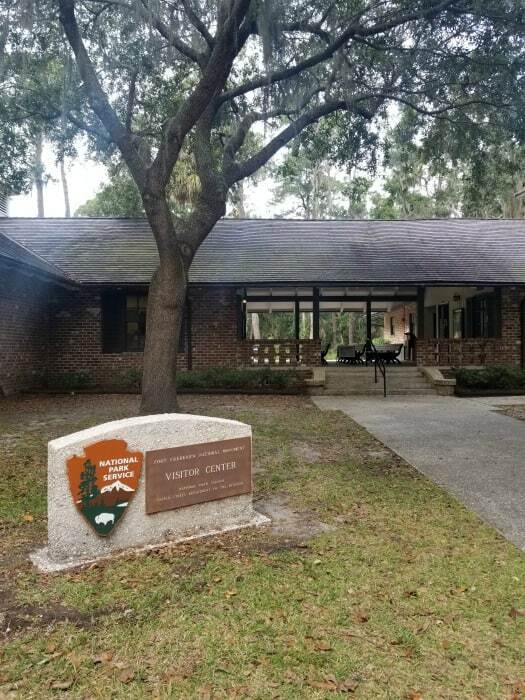 Because the uniqueness of this program, Fort Frederica’s Junior Ranger Badge can only be earned at the site itself. The Junior Ranger program at Fort Frederica is unlike any that we have seen at other parks. It is truly amazing! I can’t imagine the hours that go into making them! You can pick up a Fort Frederica NM Junior Ranger program and bag at the visitor center. Get ready to head out and explore the fort in a really fun and unique way. 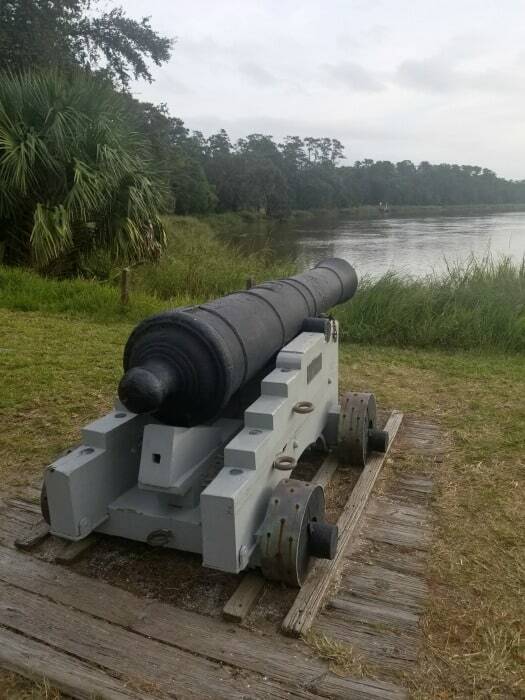 Complete Fort Frederica’s Junior Ranger Challenge plus the Underwater Explorer and Junior Archaeologist Programs and you will receive three badges plus a Fort Frederica Master Junior Ranger Patch. 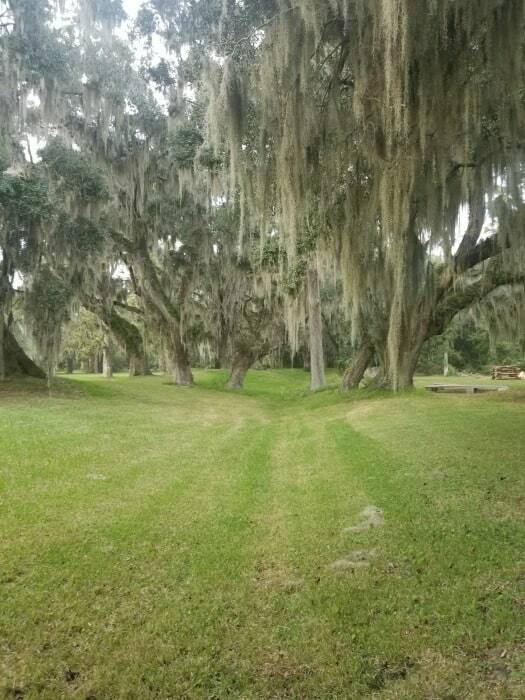 The grounds of Fort Frederica are absolutely beautiful! 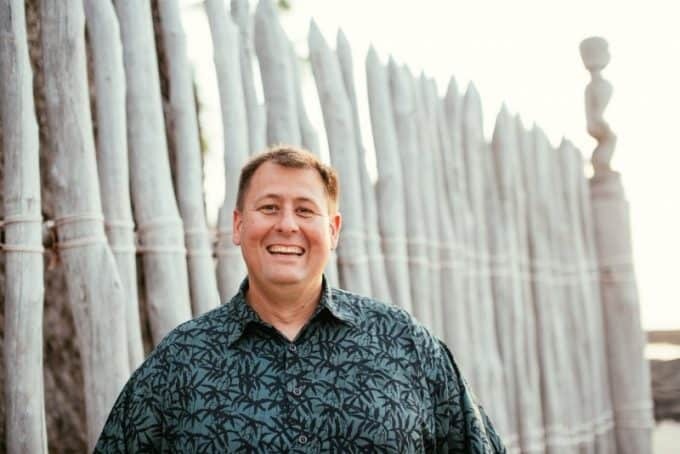 Definitely, plan to spend time walking through the townsite and out to the original fort. The walk is longer than it looks so be prepared with water, sunscreen, bug spray, and a hat. We visited in December and it was still warm and muggy. Bug spray is your friend! 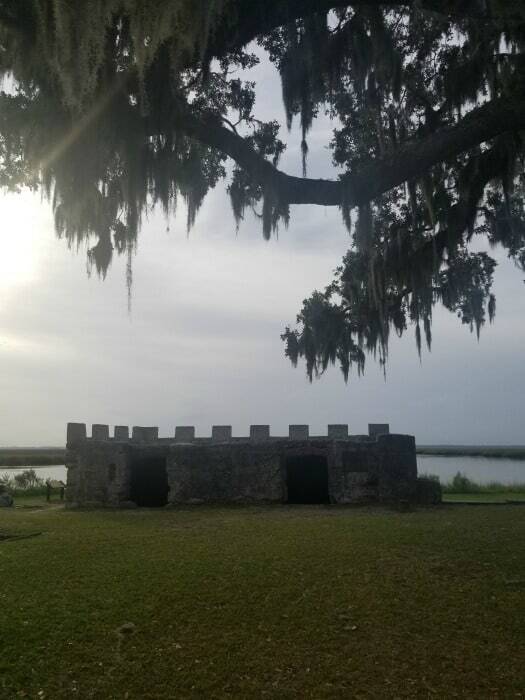 Fort Frederica NM is located right on the water and there are ample gnats and mosquitos that enjoy this area. We treat our clothes with this premetherin spray before our national park trips to help with bugs. The treatments lasts through multiple washes so we know we have some bug spray on at all times. The walk to the fort is longer than it looks from the visitor center. If you have mobility concerns the park does have a golf cart that they use to drive people around the fort. Just ask at the visitor center for assistance. The walk is on grass and semi rough grounds. There are tree roots and some divets in the ground so you definitely want to be careful and aware of where you are walking. Bring a hat, sunscreen, and water with you. There is shade from the gorgeous trees but it is still hot and humid along the walk. Check out the other great National Parks in Georgia and nearby Florida National Parks!